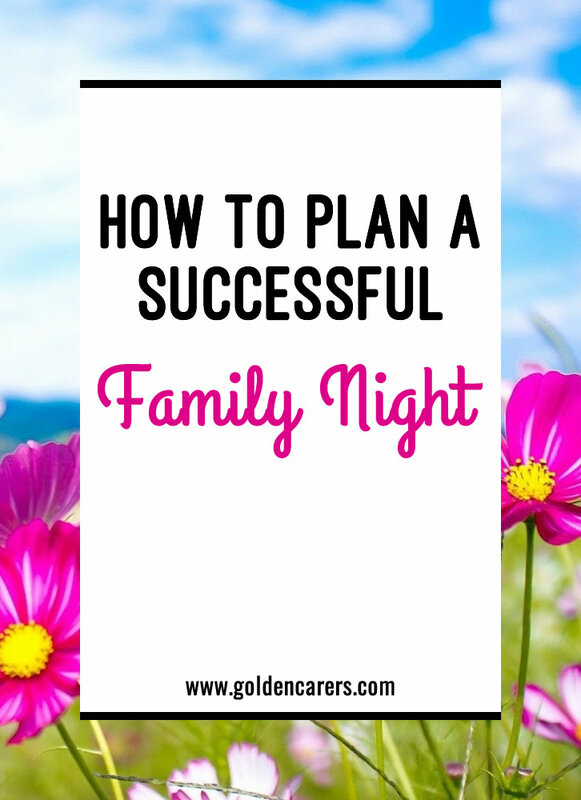 Help residents to connect with family members in a fun and pleasant way by planning a quarterly family night that everyone will love! Family nights give everyone the chance to relax and enjoy each other’s company. Hi Sally! I'm glad you found a way to engage your residents and your caregivers with family events. I know it can be challenging, especially since caregivers can have a more hurried schedule when we plan special events. I have found the more you can get the buy-in from the caregivers and nurses (food always helps! ), the better your event can go. Management can even schedule in a few extra caregivers for the hours of your event to provide some extra hands. Keep up the great work!